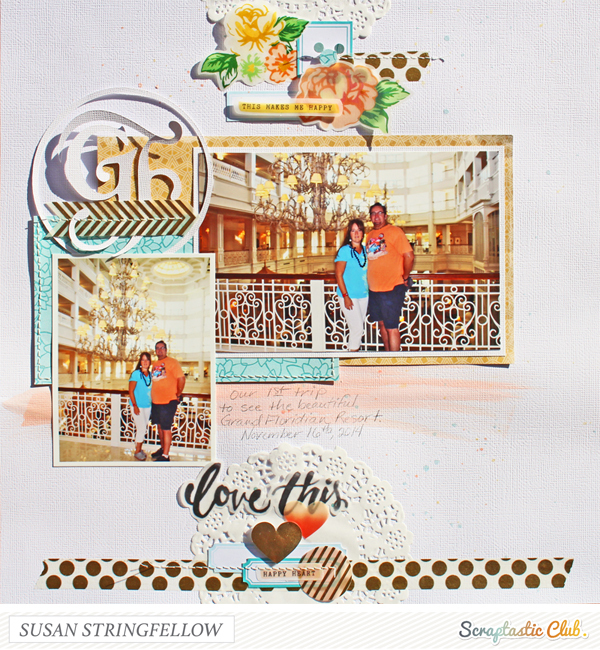 For my layout I used the last of my January "This Must Be The Place" kit, and Add on kit, Freckled Fawn Gold Polka Dot Large Washi Tape , and a white doily from my December kit. 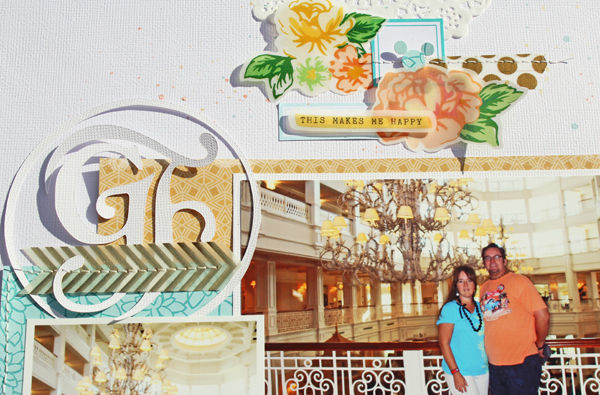 In the Pinterest image I immediately noticed the white on white crisp look so I used a white background, added a white doily as well as a die cut version of the Grand Floridian Resort insignia using a scrap of white cardstock. I loved the watercolor image of lips with a bit of splattered watercolor so I chose to bring that look to my layout background with a brush of color across the page and multi colored splatters. I also chose to incorporate gold elements including gold polka dots with the Freckled Fawn Gold Polka Dot Large Washi Tape.